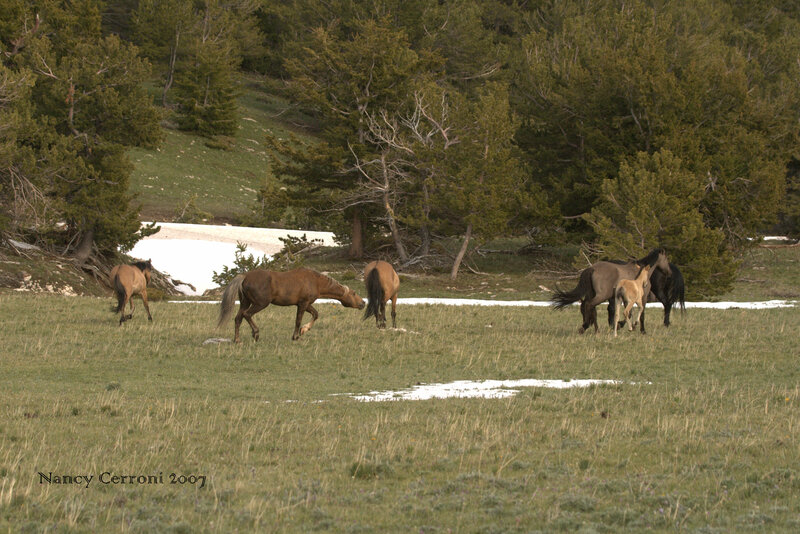 A large group of horses were grazing in the Cirque. 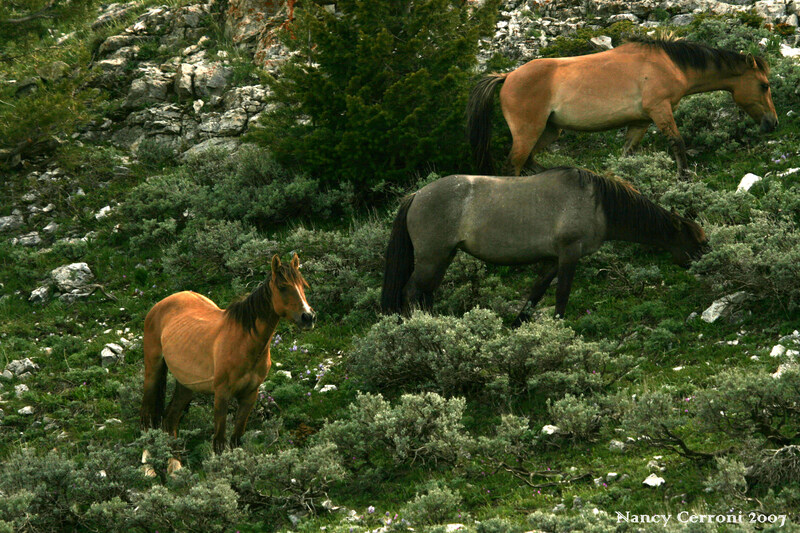 Nancy and two friends from Massachusetts were sitting down on the bottom of the Cirque watching the horses. Morning Star’s band was close by as was Prince’s band. 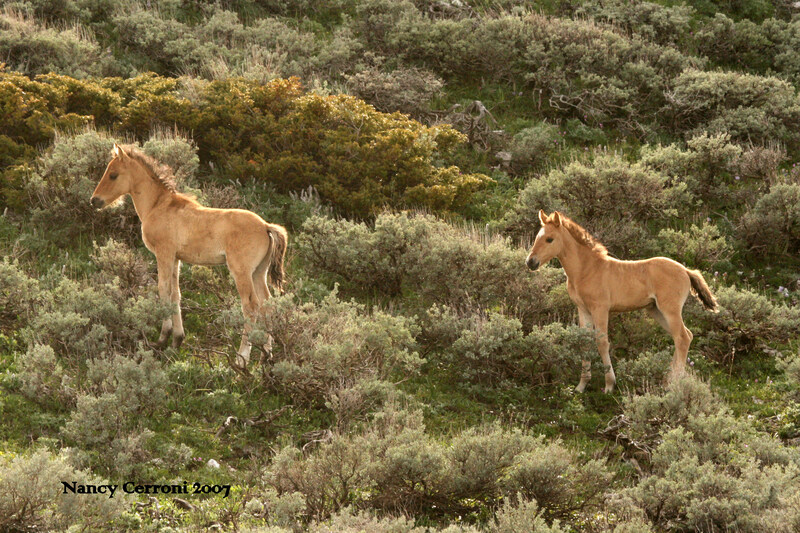 Horizon, Felina’s foal, discovered a new possible playmate in Heather, Ireland’s 2007 foal. 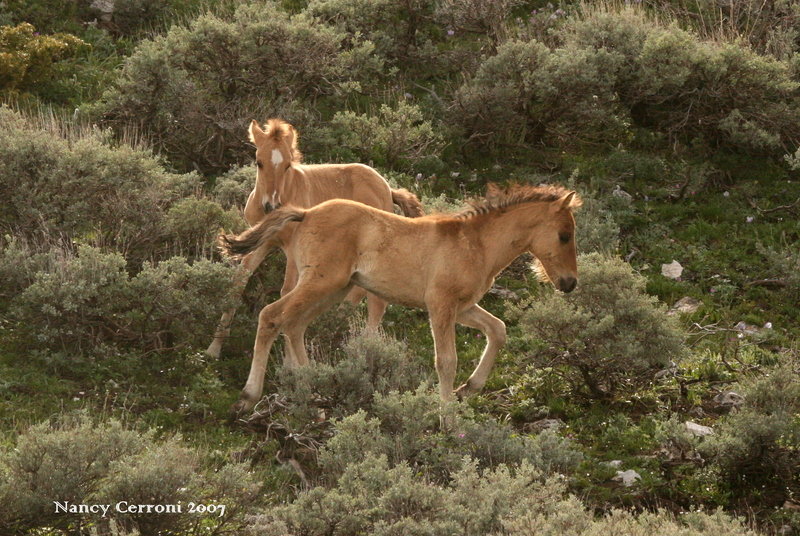 After a short time with Heather, Horizon headed off on an adventure. He walked quite a ways from his family. Horizon went as far as the other side of the Cirque. Bolder snaked his band away. 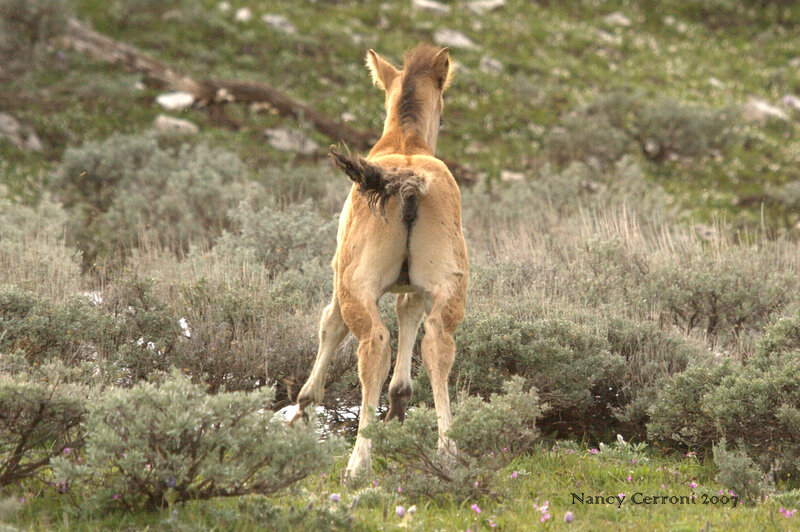 A 2013 note, Sapo’s 2007 filly, Hataalii, is now with Morning Star. 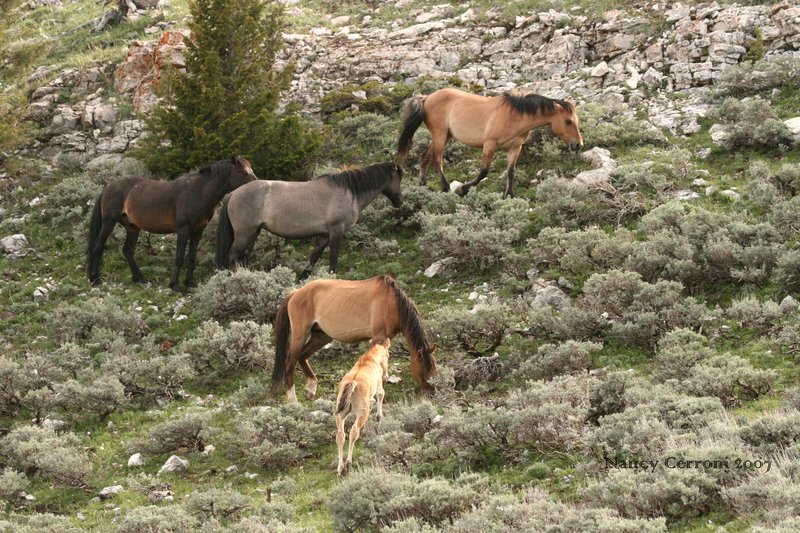 Bolder and his band, including Sapo’s 2007 filly, Hataalii. 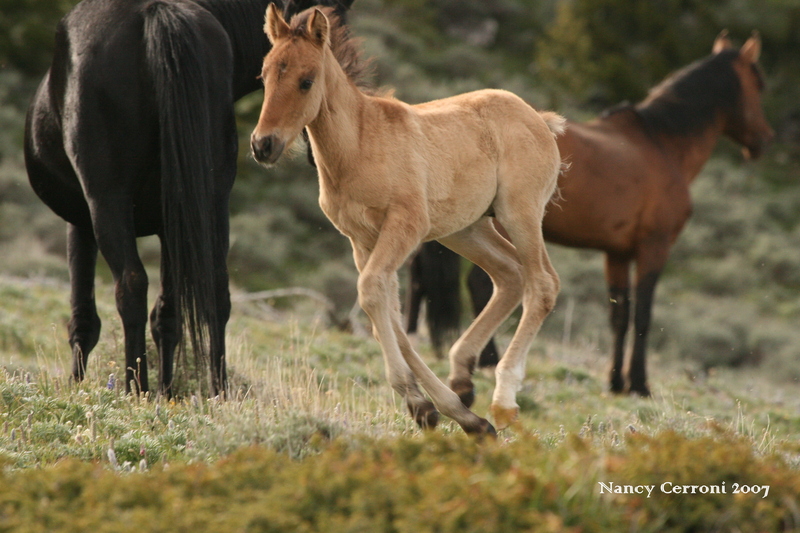 When he got too far away from his family, Horizon came running back in a frenzy. 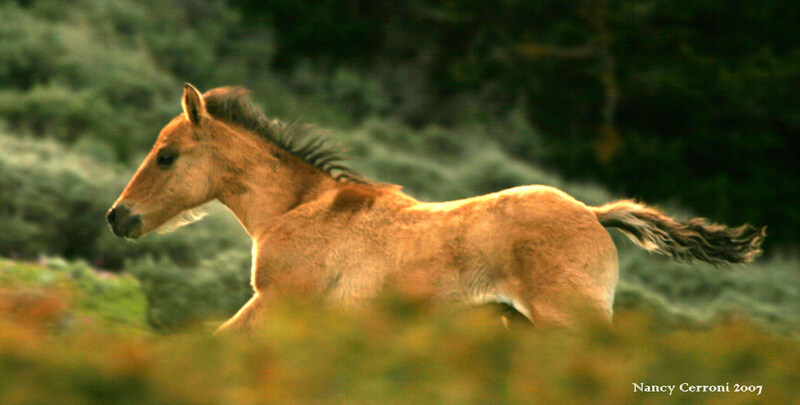 The interesting thing is the whole time Horizon was running to find his family, Felina kept a close eye on him. But she made no attempt to let him know where she was at first. It’s almost like she was teaching him a lesson of the perils of roaming too far away from her. After running and running, Horizon stopped. He had a very fearful look on his face..lost! At one point he came quite near us and just looked at us with that sad look of helplessness. Finally, Felina decided he had had enough. 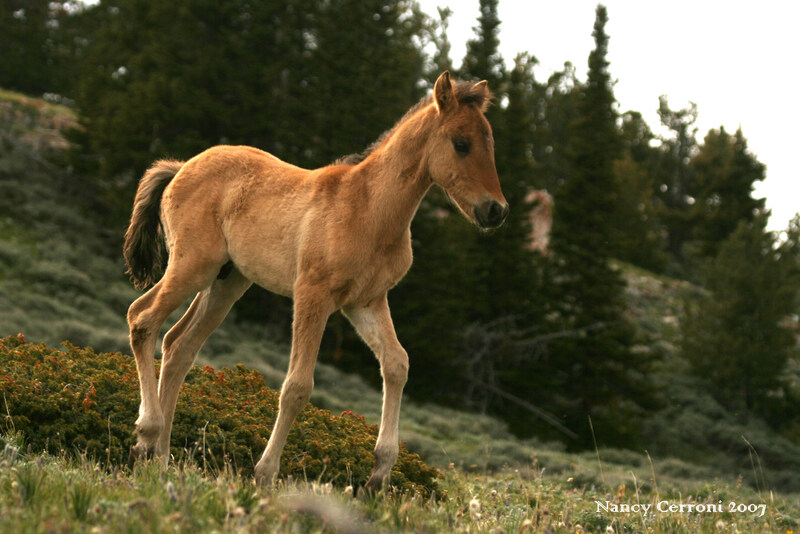 She raised her head and gave a quiet whinny. In a flash, he recognizes her call and comes dashing back to her. 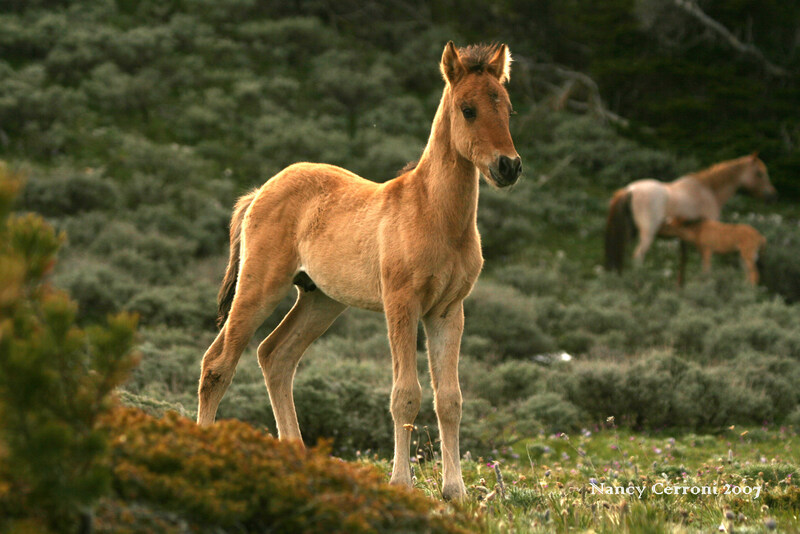 Horizon finds his mother and his band. 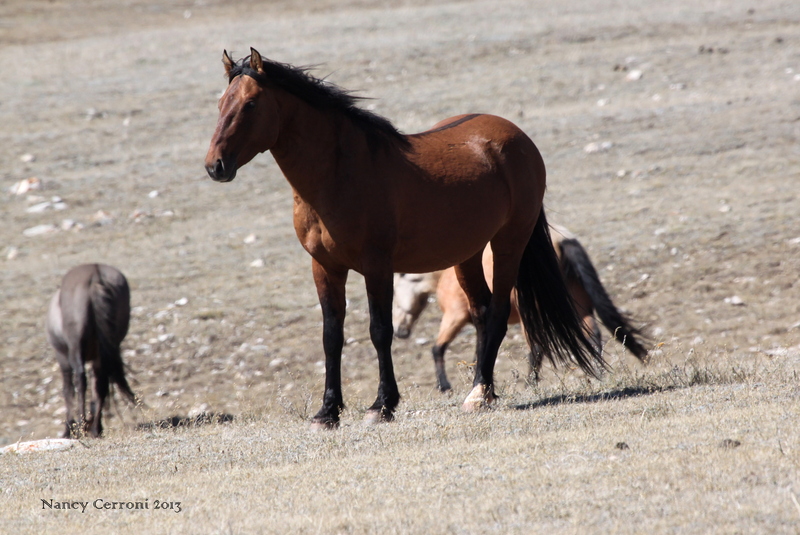 And now six years later, Horizon has grown into a strong and beautiful Pryor stallion. 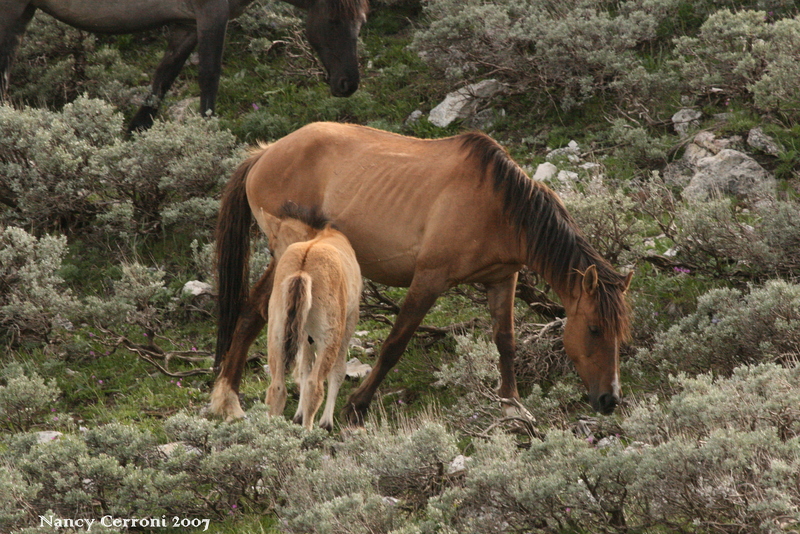 He has a band of a young mare, Juniper and the veteran mare, Tonapah. 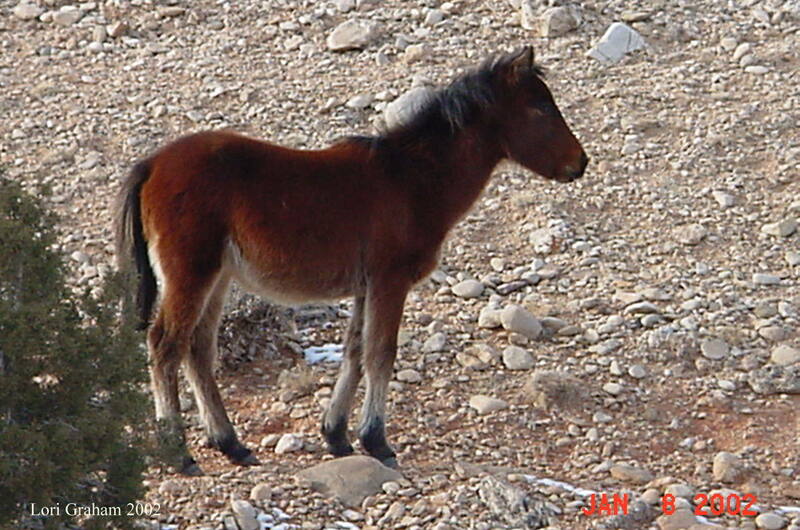 When I first saw the foal’s picture, I initially thought it was Besa. However, I knew that Besa had been born in 1999 and removed in 2001. So I asked Matthew. He looked back through the records and found out this was Bettina. 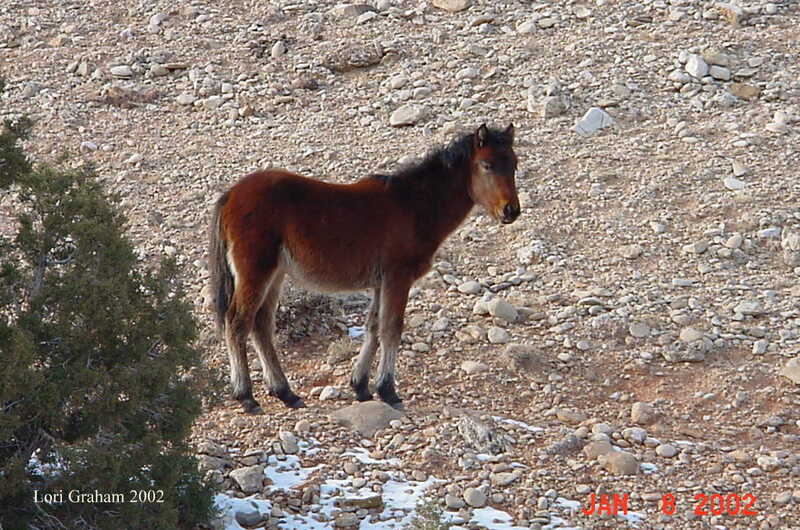 She was the 2001 foal of Sam and Hightail. No wonder she looked so much like Besa. They were full sisters. Another interesting note is she was born one year after her older brother, Admiral. The sad part of the story is that Bettina didn’t survive. Lori said she took the pictures while visiting, before they moved to this area. 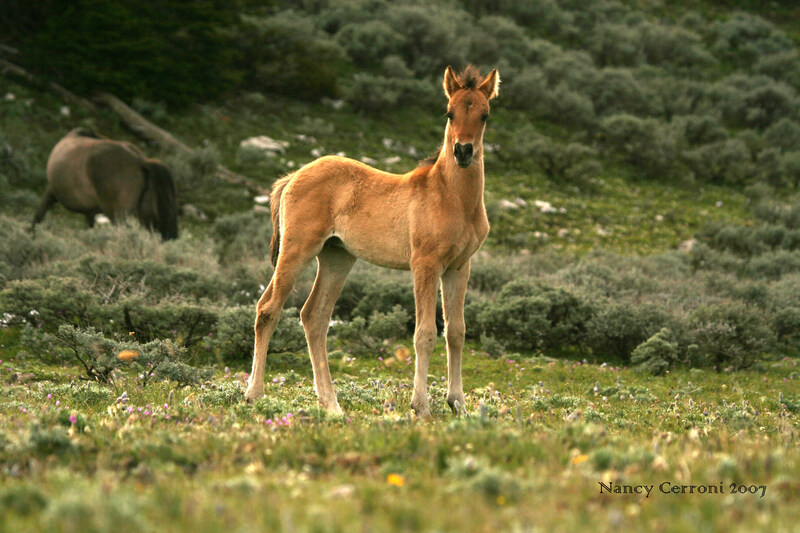 She remembers being struck by the beauty of the foal and felt so lucky to have been able to capture her with her camera.